Davis Cup: Did India's doubles misdirection against Canada cost the team a place in World Group? For over the past two decades, Indian tennis has prided itself on doubles prowess. Even though the country has fallen short in churning out singles players, they seem to have found a niche in the team sport. But all that talk came to nought as Rohan Bopanna and Purav Raja went down 7-5, 7-5, 5-7, 6-3 to Canada’s Daniel Nestor and Vasek Pospisil in the Davis Cup World Group play-off in Edmonton. As it happened, the doubles match had swung the tie decisively in Canada’s favour, who eventually won it 3-2. 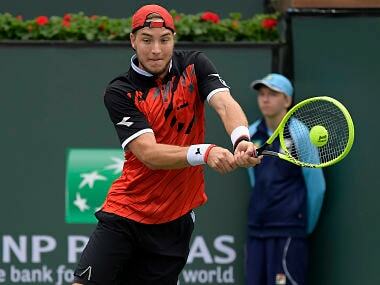 With Canada’s top player Milos Raonic out of the equation due to a wrist injury, logic dictated that India try to earn the two singles points from the matches that teen sensation Denis Shapovalov wouldn’t be playing and beef up their resources in doubles to give them the best chance. However, selecting a doubles pair for India, in any team competition, is never that simple. Bucking the trend of playing three singles player and one doubles specialist only in continental group matches, Mahesh Bhupathi and the selection committee decided to give the strategy a go in the high-stakes World Group play-offs as well. Leander Paes, the country most successful player and Davis Cupper, was not even asked for his availability for the tie. Rohan Bopanna, the highest ranked Indian in doubles at 19, was the automatic shoo-in. The selectors rather decided that a just-out-of-injury Myneni, who is currently not even ranked in doubles and played in two tournaments since his comeback, compiling a 1-3 record in singles main draws and 0-2 record in doubles, was the best option to partner Bopanna. N Sriram Balaji, the 7th-best ranked Indian in doubles at 138, was the back up. The logic was that Myneni, who has a 2-2 win-loss record in Davis Cup doubles, could play a singles rubber if either Ramkumar Ramanathan or Yuki Bhambri break down. As it turned out Balaji got injured just before the Indian squad flew to New York for a week-long camp and Myneni was too rusty to play. “Saketh has been training hard but we felt that he is still a few weeks away from playing a five-set match,” Bhupathi told the press on the eve of the tie. A few weeks away from playing a five-setter, let along winning one. If Myneni was so far behind in his fitness, what miracle was Bhupathi exactly hoping to work in a week in New York? And if he was not in shape to play a doubles five-setter how would he have played a singles rubber if required? 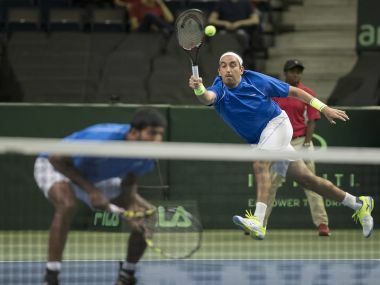 Rather than sticking with the three plus one team composition, by giving singles reserve player Prajnesh Gunneswaran a chance, Bhupathi decided to go in with two doubles players. He called up Raja, already in the city for the US Open, for the camp. Would have been too cumbersome to invite Raja’s partner at the US Open, Paes, to join the team? That Paes and Bhupathi have a history is an under-statement. And only Bhupathi can answer if he was letting his personal preferences over ride basic tennis sense here. Bhupathi proceeded to say that Raja, in Myneni’s absence, was the next best option. Ranking-wise, maybe. But Raja, at 56 is only six places ahead of Paes on the ATP doubles rankings. 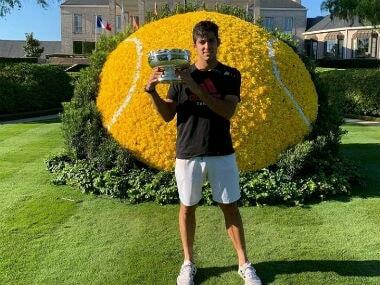 He would be making only his second Davis Cup appearance — the first came in 2013 — and has only recently started playing on the main ATP tour. Paes hasn’t been in the best of forms this season, but he still has a lifetime of experience of playing on the big stage and seems to thrive on it. He has played 55 ties for India and holds the joint record (with Italy’s Nicola Pietrangeli) for the most number of doubles wins (42) in Davis Cup. At 31, Raja certainly has 13 years over Paes, but that does not automatically translate to superior fitness. The Mumbai lad has deft touch and great intuition at the net, but has severe and apparent limitations when it comes to movement around the court and on his serve. 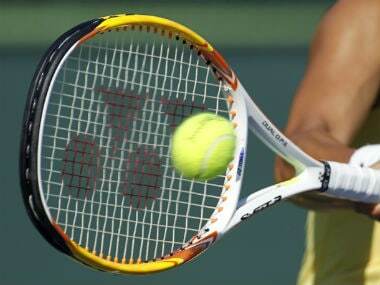 On Sunday, after losing the tie, Bhupathi was quoted saying, “We have had problems in doubles for a few ties now. We still have not been able to strike the correct combination.” It is always going to be difficult for the team to settle down into a partnership if they keep experimenting with the second doubles player. But more importantly, wouldn’t it have been more prudent to err on the side of caution this time, rather than throwing Raja in the Davis Cup cauldron. While India decided to ignore Paes’ experience, Canada decided to reward Daniel Nestor. At 45, Nestor is the only man on the tour older than Paes. A former world No 1 and 12-time Grand Slam champion, Nestor has also slid down the rankings, all the way to 43, this year. He had lost five successive matches heading into the Davis Cup tie. But rather than leaving him in the cold, Canada gave him the best-possible foil in Pospisil. Even though there were times when Nestor played every bit like a tired 45-year-old, his champion instinct was intact at the crucial points. The Indian team, meanwhile, was remarkably low on energy. Bopanna is not one of life’s natural-born leaders, but the tall Coorgi needed to step it up in the match. He was the highest ranked player on the court, by far, and should have been inspiring his less-experienced partner. But Bopanna was happy to remain in the shadows and survive on his serve. Raja made a few clever interceptions at the net with Bopanna serving, but Bopanna did very little to protect Raja’s under-fire serve. Canada, anchored by the athletic Pospisil, was a tough but by no means an unbeatable team. They made 27 unforced errors, to India’s 21, and gave the visitors 12 break point chances. But India converted only four and never really rose to the occasion. Of course, there is no guarantee that Paes would have combined well with Bopanna to win the doubles tie. 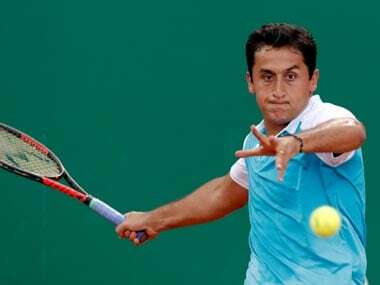 But by not giving him a chance, Bhupathi has left the door of doubt open. 1Davis Cup: Did India's doubles misdirection against Canada cost the team a place in World Group?